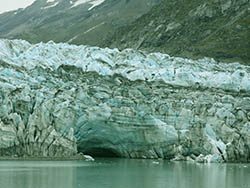 Attraction Introduction: When traveling to Alaska or taking a cruise, be sure to take time to visit Glacier Bay National Park. An attraction courtesy of mother nature. Glacier Bay National Park covers 3.3 million acres of rugged mountains, and offers a breathing look at the pristine raw beauty of Alaska and it’s glaciers. Covering 3.3 million acres of rugged mountains, dynamic glaciers Alaska has thousands of glaciers and some of the most dramatic are easily accessible by boat in Glacier Bay National Park. A once in a lifetime sight as you cruise the inlets and view the beautiful glaciers in all their majesty.